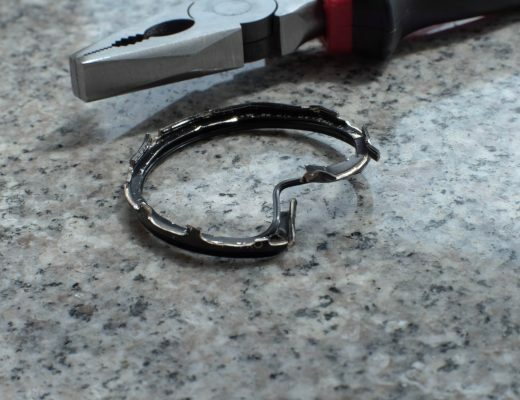 A stuck or unreliable shutter could be caused by any number of mechanical or electronic problems, especially if there’s any evidence of past moisture damage, but it is worth a quick check of the battery contacts first. Most of the original L35s are very persnickety about power supply. 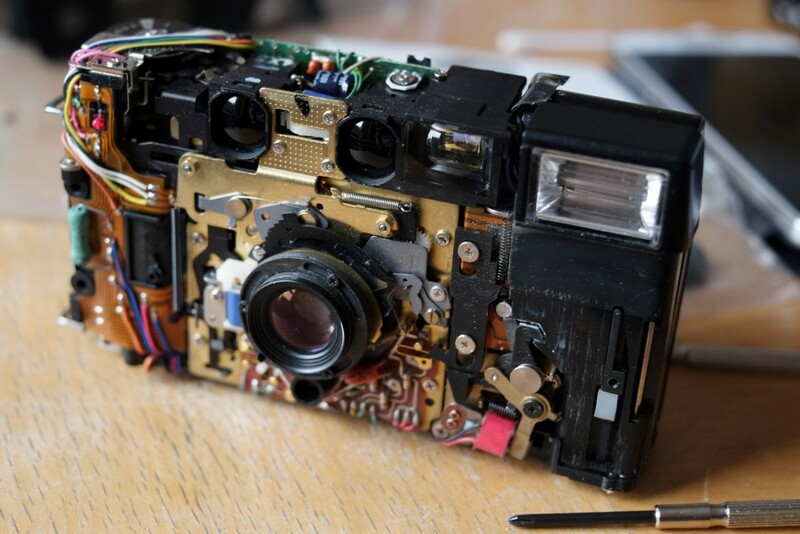 Seriously, even a little barely visible corrosion on the battery contacts or any variance in the voltage from cheap or rechargeable batteries that wouldn’t affect most cameras is enough to make it grumpy. 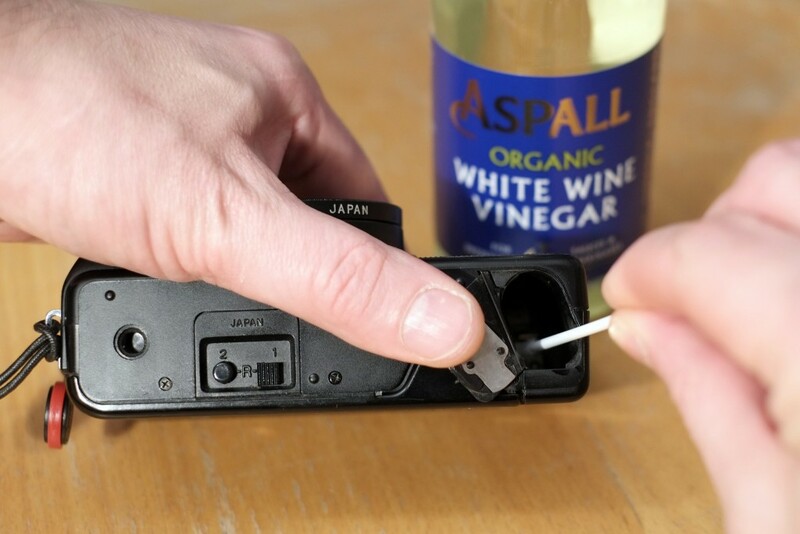 I’ve seen a few dead or semi dead L35s, including a couple of Ebay “spares or repair” bargains come back to life just by scrubbing and scraping the contacts with vinegar and using Duracell AAs. It’s possible that Nikon didn’t fit a proper voltage regulator, maybe they didn’t have the technical experience or opportunity to field test before release. My guess is they knew there was an issue though because the manual has an atypically specific section on battery selection. Either way later models seem much more forgiving. 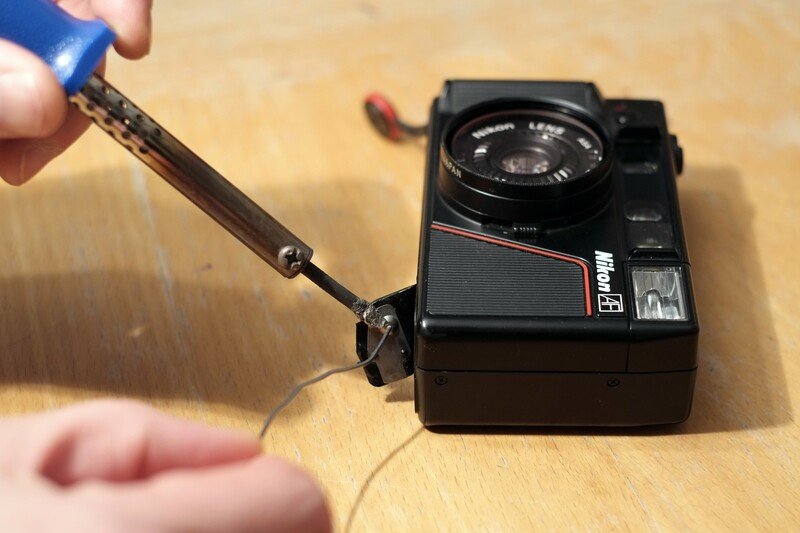 The battery door is a bit flimsy on most plastic-bodied cameras from the 1980s and the L35 is no exception – if your shutter is temperamental even with new and powerful alkaline batteries try pressing on the battery door and retesting – if that makes a difference either shim the batteries with a bit of folded tinfoil or build up the contacts themselves with a few drops of solder . 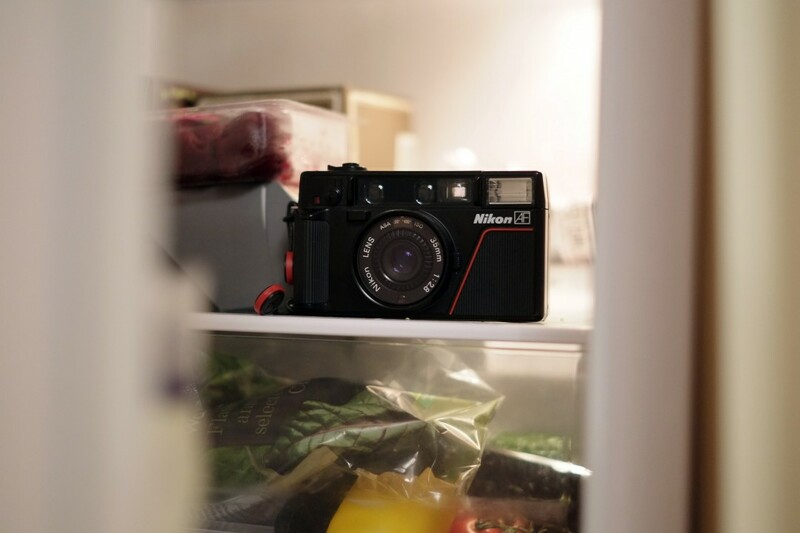 L35s are also a very sociable camera, they hate dark cupboards. More than Canons, Olys or Ricoh’s of the same vintage I think. This might be because they use more metal components than most and so are more prone to seizure after years of inactivity. Whatever the reason, fixing slow wind-on motors, a failure to wind beyond a particular frame or a completely stuck shutter usually means opening them up and googling for detailed repair instructions but I did get one “will it/won’t it” shutter going by repeatedly sitting it near a radiator or under a bright hot halogen lamp for a few hours then shaking it then putting it in the fridge and reshaking, shooting the shutter a few times between each cycle. The theory being that the temperature change is just enough to slightly expand and contract the components to release microscopic grubbiness. Or might just have been luck. In fact – just give it a fire and shake whatever – nothing to lose (as long as you’re sensible about the vigour of your oscillations). Once they’re going they usually stay going as long as they see the light every now and then. Less typically (ie. once in my experience) a dodgy connection between the flash and the rest of the circuitry caused an erratic shutter. 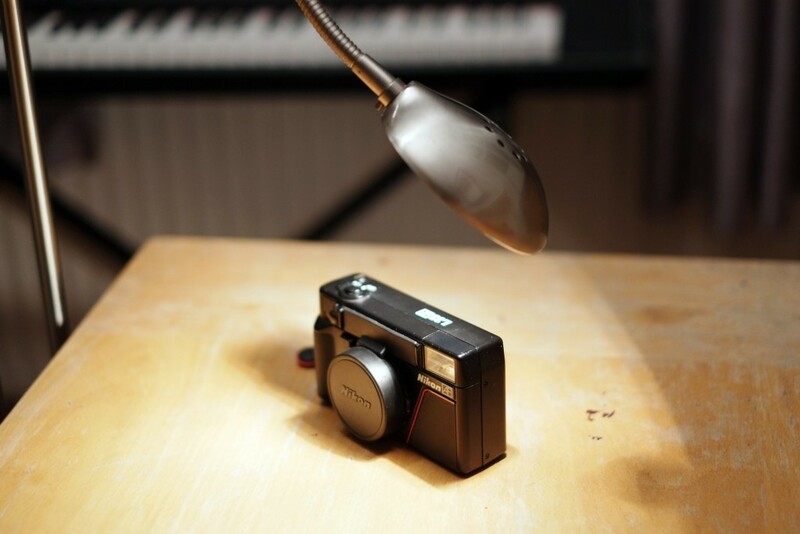 This led the camera to think the flash was up but didn’t actually engage the flash charger so locked down the shutter. Easy to fix but does mean dismantling and being very careful around the flash capacitor. Pressing down (very) hard on the flash for every shot worked (and gave me a hint about root cause) but was a total pain. More generally if you have the flash up it always wants to fire and won’t let you shoot till it’s charged. That can feel like a problem if you’re used to cameras that fire but at slow speed if there’s no flash charge and is another reason to get good alkaline batteries. There are lots of more serious reasons why things might go wrong but it’s definitely worth checking the above (especially the battery bits) before opening or giving up on an L35AF. And if you do decide that you need to open one up make sure you pause to admire the innards. The L35AF is a very beautifully built camera. My name is Eddy. I live and work in Oxford in the south east of England. 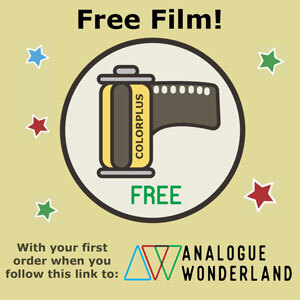 I'm an enthusiastic amateur photographer with a particular love of analogue cameras from down the ages. My Instagram handle is @expectgrain and I'm always on the lookout for new people to follow and talk to. 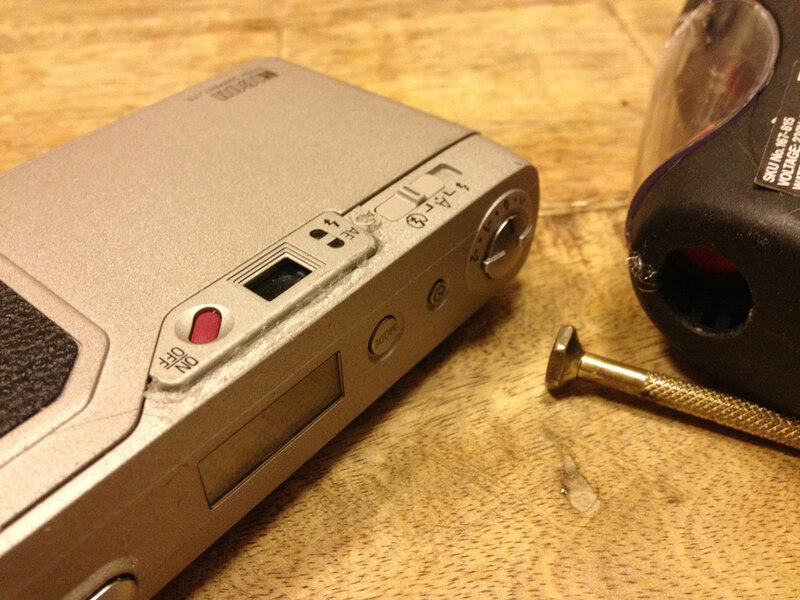 A quick fix to a Ricoh GR1s viewfinder surround. Thanks Eddy, this is a camera I’d always wanted to try out…. if only it wasn’t so darn noisy. Thanks Frank and yes, it is a noisy one. 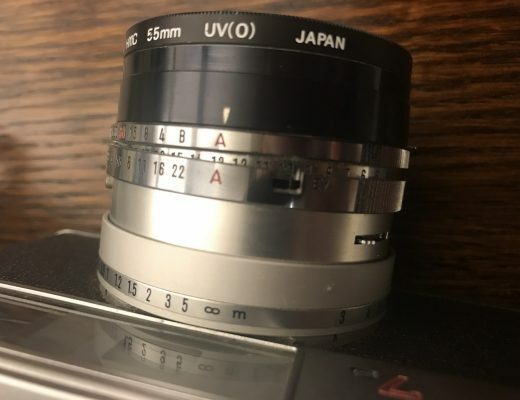 Not quite as bad as the Canon AF35 Autoboys from the same era – they’re like Godzilla cutting up Tokyo with a giant angle grinder then cackling about it. At least the wind motor on the Nikon doesn’t run until *after* you’ve released the button. I’m not a big stealth photographer but on the odd occasion when noise would have broken the moment I’ve just held the button down and released under the table or away from my eye. There is another guide online somewhere with scans of a repair manual and loads of detail about dismantling individual parts. Will post here if I remember the site name or have a link saved somewhere. Perfection! Saves you a job! Nice write-up and thank you for sharing this link. I picked up a filthy L35AF (iso 1000 version) at a car boot sale this morning for £2. To my amazement it works, but the viewfinder needed a really good clean. This link really helped. I’m pretty excited. Useful focus confirmation, a filter thread and manual iso rating mean this will probably be my ‘nightlife’ camera with pushed Kentmere 400. Wonderful article. I’ve got an as is ebay L35AF that is a little wonky that I’m going to try these repairs on. I was wondering what is involved in fixing the “dodgy connection between the flash and the rest of the circuitry” you mention in the article? Does it just involve carefully resoldering it? Cheers Wyatt. In my case it was corrosion all over the place under the flash itself and around the electrical connections. I cleaned it out with zippo lighter fluid + rubbing with a very small file. From memory there were a couple of extra screws and some protective tape to lift around the flash to get at the right place. It was unscientific trial and error and on a beater of a camera that was more or less unusable – probably wouldn’t have done it otherwise. But please bear in mind what Daniel says about safety – there can be a high voltage and very dangerous charge from the flash capacitor. I risked it because the camera had been sitting unused and uncharged for a long time and because I’m a fool. If you’ve had life out of your flash recently be extra careful (fire flash first then immediately remove batteries, use non-conductive tools or google ‘discharge capacitor’ for more knowledgeable advice – I’m a mere hacker and bodger. Cheers again and I hope you have some luck with your camera. What are the problems you’re experiencing? Hey Eddy, thanks for the advice. The two issues I seem to be having with the L35AF are that it will pop the flash up when focusing regardless of whether or not the exposure calls for it and then refuse to press the rest of the way down and take the photo. The only way to get it to fully depress and take a shot is if you hold the flash down and press it. It usually only does this for the first shot after you turn it on. The second issue is that sometimes after taking the photo, the camera won’t advance the reel and I’ll have to take the batteries out for a bit then put them back in for it to finally advance. Be careful opening electronics. Sometimes there’s a built-in battery that can give quite a shock. Hi Eddy, I got the younger brother L35AD 2 from a flea market a month ago. All seems normal, but the viewfinder bit foggy inside. Since it’s viewfinder similar to the older bro, Is there any way to clean it? Or should it safe to follow your way? Any manuals or guide recomended.. Thanks in advance. Looking forward on how to clean a foggy viewfinder too! Hi Fred, did you manage to clean your viewfinder? I’ve recently acquired an L35AF with the same issue, very clean otherwise. Thanks for the post eddie. Rubbing the battery with vinegar really worked. Just in case someone else is fiddling with a stuck rewind button. My L35AF had a lot of corrosion around the area where the rewind mechanism is located, so it got stuck. I fixed this problem by cleaning it and greasing it lightly. Works fine now!